Qigong Exercises: Qigong is an excellent exercise system for the mind, body and spirit for people of all ages and physical conditions. However, with such an incredible number of systems, offering an incredible array of methods to improved health, well-being and self-cultivation, it can be a daunting prospect knowing where to start. A good place would be our introductory article ‘Qigong’ and ‘Qigong – A Comprehensive Overview’ which provides an in-depth insight to the history, philosophy and practical aspects of this fascinating art. Within the auspices of Qigong there are techniques that originated 1,000s of years before, often created by reclusive monks who retired from society to seek ways of creating physical methods to develop their physical, mental and spiritual sides. These qigong exercise systems were methods of personal cultivation attuned to the harmony of the natural rhythms of the earth. In addition to articles and images of various forms and techniques we provide you with a selection of video clips especially created to allow you to try a few basic introductory steps of qigong, which will hopefully inspire you to go on and gain a sense of the bigger possibilities, which are accessible to everyone, through regular practice. We provide material that is clear, accessible and easily understandable. The material covers a wide range of techniques and approaches to the many ways in which Qigong is taught and practised in Europe and beyond. 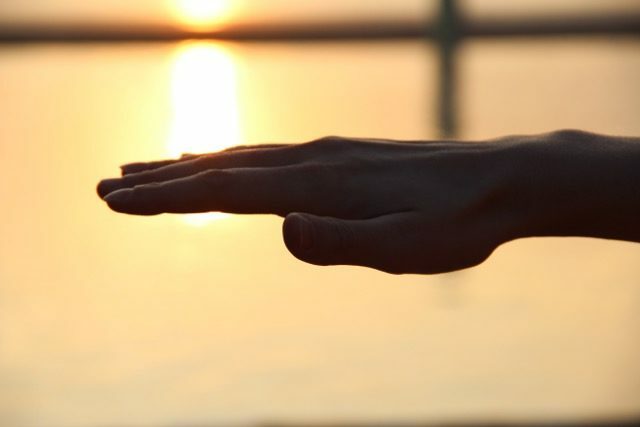 Within our selection of Qigong exercises key practitioners guide you through simple, yet highly effective Qigong routines, which will help to increase your energy levels, improve your focus and concentration whilst relaxing both your body and mind. From basic loosening up exercises and quiet, meditative sets through to gently relaxing routines like Taiji Qigong (Shibashi) we offer a number of ways for you to improve your health and vitality. This version of 5 elements Qigong is an easy beginner version. There are also more complicated 5 element exercises – one of the supreme disciplines of Qigong is 5 Animal Qigong / 5 Animal Frolics. Tina Faulkner Elders, UK shows the Qigong Exercise “2 hands pushing sky”.